Trying to figure out embroidery fabric is something that makes my head spin. As someone who is self-taught (and still learning), it has been difficult to find straight answers on what the best embroidery fabric is. I don’t know if I can tell you what the best embroidery fabric is, but I can tell you what I like to use. Here are the fabrics I have tried, in order of my favorite to my least favorite. 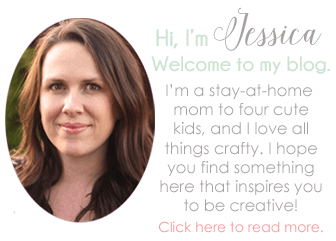 If you find this post useful, make sure to take a look at my How to Embroider for Beginners series. I recently started using a linen/cotton blend that I love. 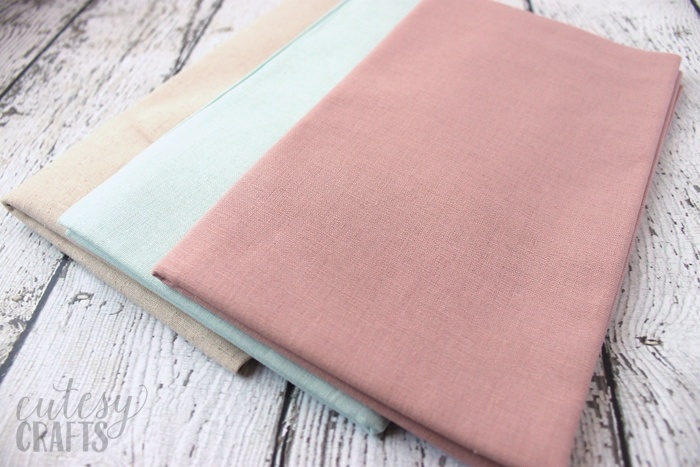 It’s called Essex Linen and you can purchase it from Fat Quarter Shop. It’s a little bit tougher to stitch through than my 100% linen, but I like that I don’t have to worry about my threads showing in the back as much. I love the color choices, and I love how soft it is. This is definitely my favorite fabric to embroider on right now. My first embroidery project ever was on 100% linen, and it continues to be one of my favorite fabrics to embroider on. 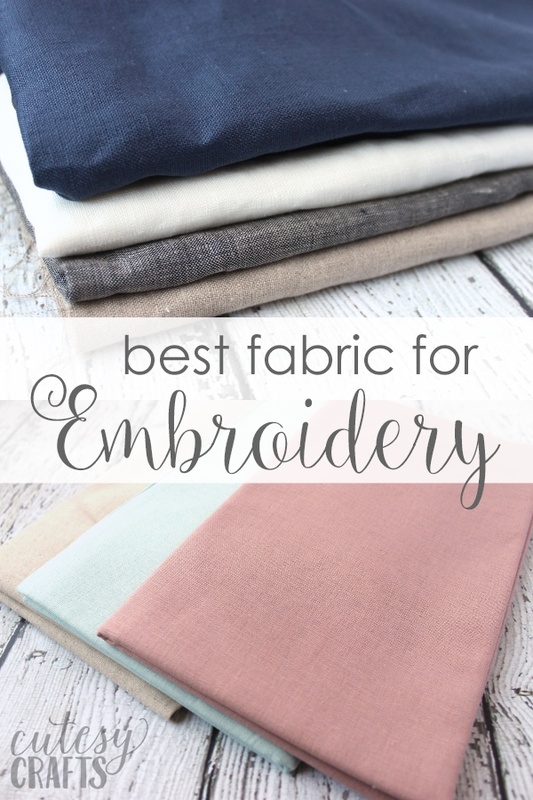 There are different thread counts for linen and stuff that gets me confused, but I just like to keep things simple and get mine from my local fabric store. Maybe there’s something out there that is better quality, but I have made plenty of projects with it and had no problems. It is a bit thinner and can tend to bunch a little if you pull too tight, so just be aware of that. 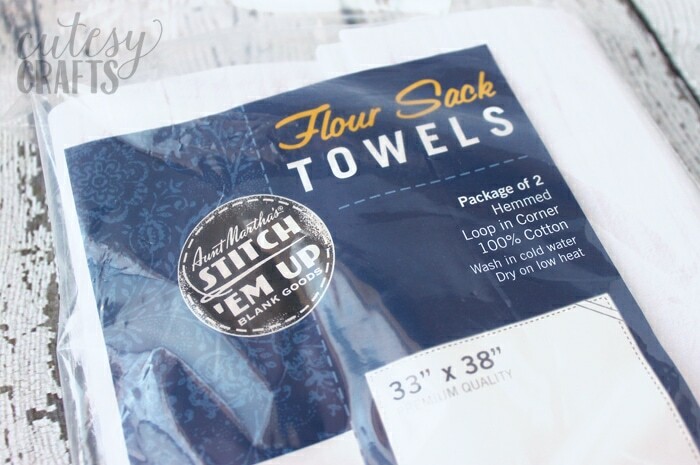 Flour sack towels are made from a fabric that is traditionally stitched on. My mom still has some towels that my great grandmother made back in the day. The blank towels are sold near the embroidery floss at the fabric store, and I love to stitch on them. I really like how smoothly my needle goes through and how soft the fabric is. I’ve never stitched an actual towel. I just like to cut up the fabric and use piece of it to stitch on. I don’t even know what kind of fabric the towels are made of, but if anyone knows where to buy it by the yard, please let me know. The only downside to this is you only get one color, white. I suppose you could start dying them, but I definitely don’t have time for that. If you want to stitch on a patterned fabric, 100% cotton is a good option. When I say 100% cotton think about the biggest section of fabric in the store that quilters usually use. Try to get a heavier feeling cotton if you can. It’s not my favorite thing to stitch on since I feel like my stitches pucker more easily, but it can yield some pretty results. Don’t be afraid to try different things. You can also embroider on jeans, t-shirts (with some iron-on stabilizer), and even canvas shoes! I have successfully embroidered on canvas bags, although my fingers did hurt a little after. 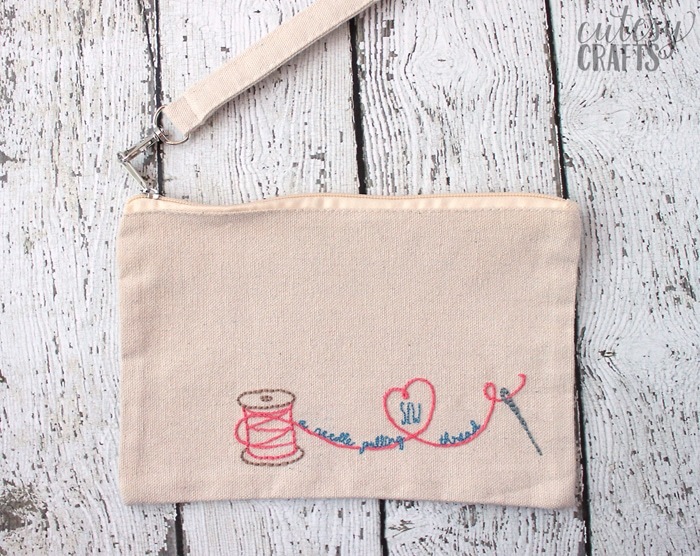 If you aren’t sure if it will work, you can always do some test stitches to try it out. Have fun with it! 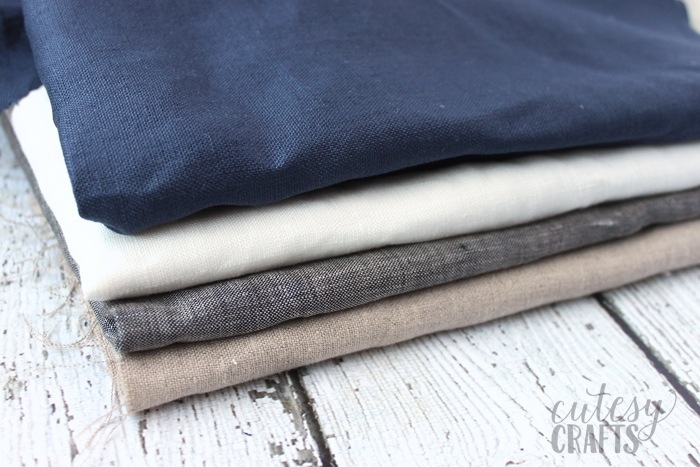 One last little bit of advice for those who are new to fabric shopping. If you aren’t sure what a fabric is made of, look at the top of the bolt, and it should be printed there. You can purchase as little or as much as you want. I usually in buy in quarter, half, or whole yards. What do you find is the best embroidery fabric? I’d love to try something new! I am just now getting back into embroidery after many many years. Have been doing a lot of beading, punch needle, crocheting, and card embroidery. When you say your stitches on back don’t show as much with the linen/cotton blend how is that possible. I want to make placemats but don’t want my stitches to show on back. I guess I meant more that you can’t see the thread tails on the back. 100% linen seems to have a looser weave, so if your project is light fabric and has a tail of dark thread on the back, I’ve had some show through. That can be solved by not tying knots, but I still like to use knots. How do you prevent the thread on the back from showing through on flour sack towels? 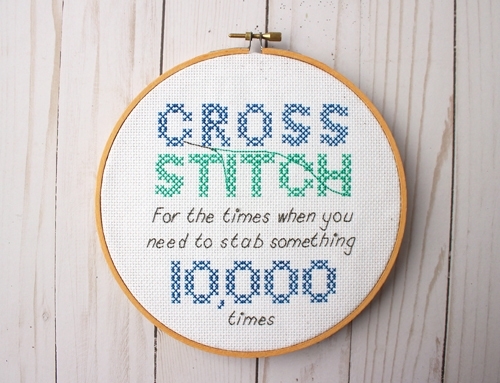 You have to keep your stitches really tidy. If you need to go from stitching in one spot to starting in another, tie off your thread and start a new one. I like the flour cloth but I wont use it to actually make towels because after a plate or two, it is completely soaked and I have to hang it up to dry and get a fresh one. Ooh, good to know! I’ve never actually used them as towels either. I’ve made toddler skirts and throw pillow covers out of them though. Haha! HI! When I was a young girl my mother taught me to embroider but I didn’t keep up with it. Now I would like to start it up again and this is so helpful to me. Thank you so much!